Marilyne Didier behind the wheel in her taxi, looking into the camera and smiling. Marilyne Didier works as a taxi driver in Paris. She is hoping that the Swedish nature lifestyle could help her de-stress from her busy life. I work close to Gare du Nord in Paris where there are a lot of people, traffic jams and druggies around. Every day I meet drivers who are antisocial and unpredictable on the road, people who don't really know how to drive properly. What do you usually do/think of to calm down in your everyday life? I spend time with my friends and family. Every Sunday morning I also run in Parc de Sceaux, which is close to my homeplace. What are your expectations of the stay in Sweden's nature? I look forward to discovering a new environnement, a new landscape and new people. I also look forward to relaxing and speaking English, as well as learning more about myself and meditating. Ben Fogle is a British TV host and explorer. He is 43, lives in London with his wife, two children and their dog. He has previously worked for BBC, Discovery and National Geographic, and has written several books. He’s rowed across the Atlantic, raced to the South Pole and crossed the Empty Quarter on a camel. Steffi Tauscher works as a police officer in Munich. 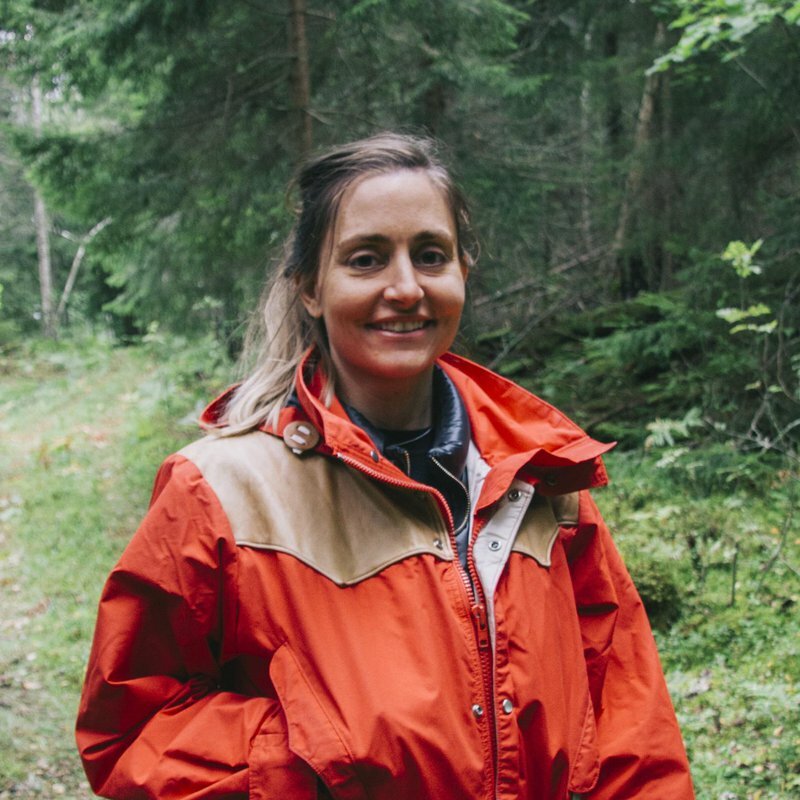 She is curious to see if spending 72 hours in the Swedish nature can help her disconnect from her stressful life. Baqer Keshwani works as an event manager in New York. He is excited to see if the Swedish nature lifestyle could help him wind down from his hectic everyday life. Chris Leadbeater is a British travel journalist who works for the Telegraph. He is one of the participants in the 72 Hour Cabin project.